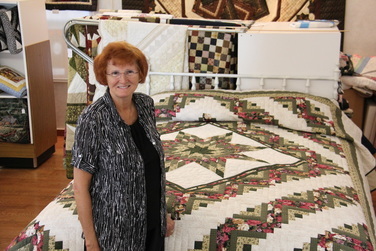 The winner of the Amish-made quilt is Audrey Bowers of North Carolina. Congratulations! Thank you to everyone who participated. If you'd like to stay up-to-date on all of the latest and greatest in Amish fiction, including news and information about Wanda E. Brunstetter, please subscribe to Barbour Publishing's news updates using the form below. You may unsubscribe at any time. 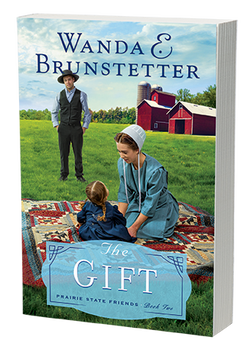 The Gift by NY Times bestselling author Wanda E. Brunstetter is releasing on August 4th! In honor of this highly-anticipated release, Wanda will gift one lucky one winner with an authentic Amish-made quilt straight from Illinois where the story takes place. To enter, simply purchase a copy of The Gift from your favorite retailer (in-store or online) and send us a photo of your receipt by August 8th using the form below. Both pre-orders and books purchased after the release date will be accepted. Any type of format qualifies: print copy, Kindle, Nook, or any other type of eBook. Buy The Gift to ﻿Win﻿ a Gift!